At Commonwealth Plastic Surgery in Lexington and London, KY, we believe that a satisfying and rewarding patient experience begins on a personal level. Dr. Jared Nimtz, our medical director and board-certified plastic surgeon, and our entire staff are genuine, caring individuals who strive to be the best at what we do. We are deeply invested in each patient’s health, safety, comfort, and surgical outcomes. We welcome you to learn more about us. Continuing a Practice Built by William Dowden, M.D. 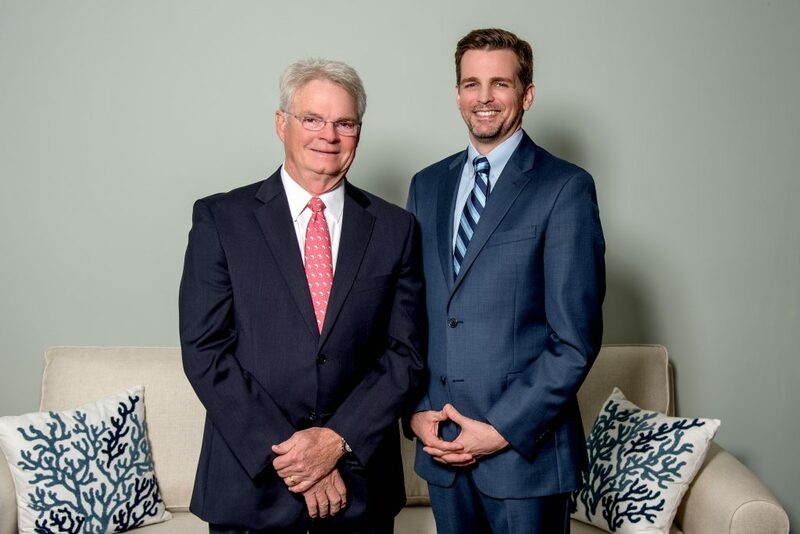 When Dr. Dowden decided to retire after decades in practice, he turned to Dr. Jared Nimtz to ensure that patients in our community had continued access to top-quality care, the latest innovations in plastic surgery techniques and technology, and exceptional outcomes. Dr. Nimtz was an excellent fit because his philosophy is aligned with Dr. Dowden’s, with a focus on the doctor-patient relationship. "I thank all my patients for the privilege of serving you. I will miss you all. Fifty years in medicine, forty as a private plastic surgeon, have flown by so quickly. Happily, I am blessed to leave the practice in the hands of Dr. Jared Nimtz, a superbly trained and thoughtful and skilled surgeon. He has agreed to be the custodian of your medical records. Commonwealth Plastic Surgery, Dr. Jared Nimtz, will continue out of my same location at 715 Shaker Drive. I personally encourage you to contact him for all your plastic surgery questions." Here at Commonwealth Plastic Surgery, the women and men we serve are more than patients, they are neighbors, friends, and family. In fact, our logo bears the image of our family room quilt to symbolize our dedication to family. Dr. Nimtz and his wife Renee fell in love with the tradition of quilt squares on the barns throughout Kentucky, and chose this logo to evoke that same nostalgia for the local heritage. The word “commonwealth” comes from: “common” meaning “belonging to all”; and “wealth” meaning “happiness or riches”. The name and logo remind us daily that we are a family business. Dr. Nimtz, Renee, and their staff adhere to basic, old-fashioned values of family and hard work. Committed to helping others who are less fortunate, Dr. Nimtz donates his surgical services to those in need, both in Kentucky and abroad. Locally, Dr. Nimtz volunteers for the Surgery on Sunday program. Started by Dr. Andrew Moore, II, this nonprofit organization provides outpatient surgeries to locals in need who are either uninsured or underinsured and do not qualify for federal or state assistance. On the third Sunday of each month, Dr. Nimtz is often one of the volunteer surgeons who perform surgery along with anesthesiologists, nurses, clinical staff and administrative personnel. Since the program began, over 5,700 individuals have received essential outpatient surgeries free from financial burden. Surgery on Sunday is able to provide procedures at an average cost of $300 per case and serves an average of 13 patients a month. Dr. Nimtz has traveled with Medical Mission Ecuador to treat underprivileged children with facial and limb abnormalities. This nonprofit organization was started by Ecuador natives Dr. Henry Vasconez and Dr. Luis Vasconez, and their sister Beatrice, to help the children of their country who have little or no access to medical care. Since its beginning, more than 10,000 patients have received free medical services, including more than 1,700 surgeries. Meet Dr. Jared Nimtz: In addition to his rigorous education and training, Dr. Nimtz has an eye for natural beauty that guides him during every procedure he performs. He strives to make looking good effortless and natural for each patient. Our Staff: This group is comprised of the same exceptional, highly trained and experienced, personable medical professionals selected and trained by Dr. Dowden. Since taking over the practice, Dr. Nimtz and Renee often say, “The staff trains us,” which is the secret to our continuity of care. Computer Imaging: Our state-of-the-art software system enables us to show patients how they might look after surgery. This valuable tool not only gives patients a preview of their possible look, but improves communication between patients and Dr. Nimtz. In the Media: Dr. Nimtz and Renee appear regularly on television to share honest, accurate information about cosmetic procedures. Patient Resources: We provide our forms online for new patients to print and complete at a time that is convenient for them. We also have provided a comprehensive list of questions and answers about our practice that includes information about consultations, where surgeries are performed, and much more. Financing: Patients have several choices when it comes to paying for their procedures including financing through CareCredit®. A patient-focused approach is what separates Commonwealth Plastic Surgery from other practices. Get to know us, and how we can help you achieve the look you want when you request a free consultation using our online form. Or you can call (859) 277-9435 to schedule an appointment. We look forward to meeting you.